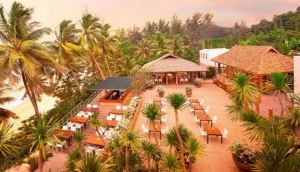 A recent addition to the entertainment and social scene in Phuket, beach clubs have since added more depth to the beach experience and the 'lifestyle in paradise'. Many people have discovered that the west coast beaches where most clubs are located, now hold more appeal as clubs provide unique entertainment and dining opportunities and as well as social experiences and communities. Beach clubs evoke simultaneous attitudes and emotions of chilling out and relaxation, fun and sophistication often depending on the time of day. Be seen, be heard on a chaise lounge, in the pool or wriggling your toes in the sand during the day, savouring a sundowner amongst panoramic views of the Andaman Sea, enjoying a superb meal and then dancing to music either under the stars or under the cover of an al fresco area!